Enrico J. Mirabelli, a principal of Beermann Pritikin Mirabelli Swerdlove LLP, is a highly regarded family law attorney with over 30 years of experience. 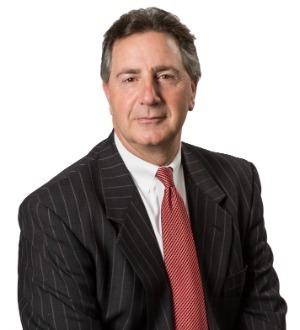 Mr. Mirabelli served for ten years as a member of the Illinois State Bar Association Board of Governors and has served on the ISBA General Assembly and Family Law Section Council. Mr. Mirabelli was twice a recipient of the Chicago Volunteer Legal Services Corporation Distinguished Service Award and a recipient of the John Marshall Law School Distinguished Service Award. In 2000, he became the recipient of the Award of Merit from the National Center for Exploited and Missing Children for successfully prosecuting the first Hague Petition Case to go to trial in the 7th Circuit (Tabacchi v. Harrison, No. 99CV 04130) and has been annually selected as a “Leading Illinois Attorney in Family Law.” Mr. Mirabelli was awarded a Certificate of Appreciation from the Legal Assistance Foundation for his pro bono work on the “Baby Christopher” case, In Re: Adoptions of Indian Children, 1995. For 2015, Mr. Mirabelli was selected for inclusion in The Best Lawyers in America in the field of Sports Law. Best Lawyers in America is the oldest and most respected peer-reviewed publication of its kind. Mr. Mirabelli is a frequent lecturer at family law seminars sponsored by the Illinois State Bar Association. He has also lectured at John Marshall, Loyola and DePaul Law Schools Family Law classes. He has testified before various committees in Springfield regarding family law related pending bills. Mr. Mirabelli is a co-author of the amendment to Code of Civil Procedure, Sec. 5/2-401(e), which allows fictitious pleading in Illinois. He has handled numerous novel and high profile cases including the AIDA HBO (the Sopranos, Ill. App. 3rd) which attempted to establish a course of action based upon the individual dignity clause of the Illinois Constitution, and was the first attorney in Illinois to establish cause for wrongful adoption in Krueger v. Leahy, 89 L 18751 and third party liability for sexually transmitted diseases in Doe v. Smith, 91 L 16890. Mr. Mirabelli successfully argued before the Illinois Supreme Court and created a new law in the State of Illinois regarding the obligations of unmarried men towards children born via artificial insemination to their paramours. Mount St. Mary's College, B.A.